Hector Romero returns to Nervous, curating the second instalment of Weaving Genres Vol. 2 with exclusive cuts from David Morales, Oscar G, Chus & Ceballos, Satoshi Tomiie, Severino, and more. At the forefront of NY"s nightlife scene since the "80s, Hector Romero is a bonafide legend and one of New York"s prime dance music ambassadors. As A&R for Def Mix and most recently host of his online radio show "The Network", Romero"s influence throughout house music is indisputable having worked with artists like David Morales and Frankie Knuckles. 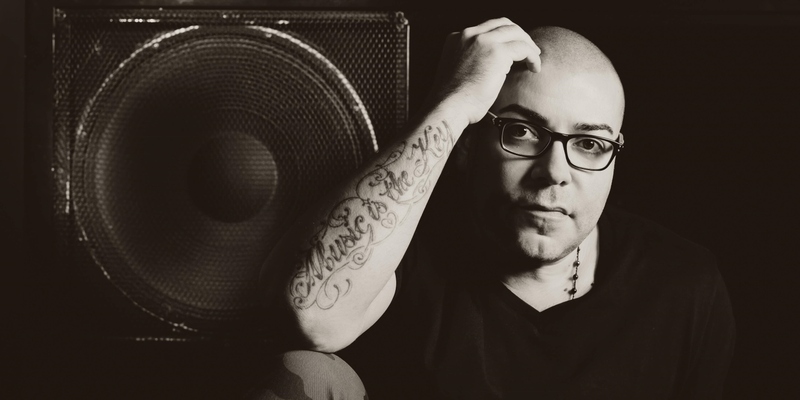 Having DJed since 13 years old (earning the nickname Baby Hec), Romero is also one of the scene's most experienced selectors; performing at legendary NYC venues like Palladium, Save The Robots and The Red Zone, not to mention repeatedly touring the USA, Europe, South America and Asia. Released by iconic New York imprint Nervous, Weaving Genres is Hector's own compilation series that mixes a manifold of unreleased music from a slew of house music's most respected names. Versatile from the off, Hector Romero blends an assortment of varying cuts on Volume 2; whether the percussive "Drumster" by the legendary David Morales, funk-laden numbers like Severino's remix of Moullinex "My Ladybug", sultry tracks like Quentin Harris "Wait" (featuring Denise Henderson's soulful vocals), or Aroop Roy's smooth disco rework of "Tabala Mouv". "Even though Weaving Genres Vol. 1 was well received I was pretty nervous (no pun intended) about how Vol. 2 would turn out," explains Hector Romero. "Over the months leading up to the final track listing, the brainstorming and creative ideas from meetings with Mike and Andrew (Nervous) made it really fun putting together Vol. 2. Then the challenge was mixing 15-18 diverse titles to work with each other and create a listening journey out of it - hence the title Weaving Genres. In a difficult singles market many of the producers featured on Weaving Genres Vol. 2 have their own labels. Knowing that each producer could have released these tracks makes me grateful that they trusted myself and Nervous to license their exclusive and never released music. The Weaving Genres compilation series caters to the home listener and to the cutting edge DJ who are always looking for new and upfront music. I look forward to working on additional volumes in the near future whilst enjoying a continuing relationship with Nervous Records." 4. Morena Feat. Carlos Mena - "I Am Your DJ"
7. David Morales - "Drumster"
10. Dj Vivona - "This Time"
11. Tony Loreto - "Third World"
12. Paso Doble - "From the North to the South"
15. Fabio Aurea - "Hideout"
17. Peppe Citarella & Mijangos - "Dejalo Que Salga"
18. Satoshi Tomiie - "Nono Piano"